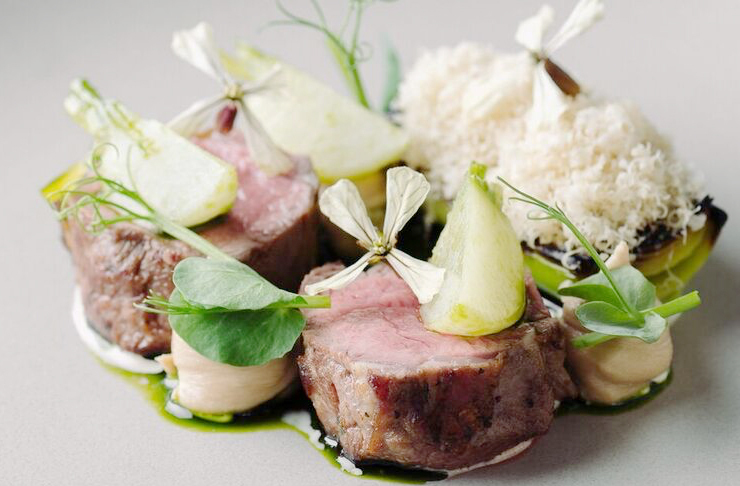 As one of Auckland’s best strips to fulfil all of your foodie needs, Ponsonby has it all. There are several old stalwarts standing true amongst the newbies who have nestled themselves in there—and we love them both. Mainly sitting on the main drag, Ponsonby Road, there is certainly no shortage of quality places to feed your face. Here are our picks of the best places to eat in Ponsonby. There’s no doubt about it, Orphan’s Kitchen serves up some of the finest food possible on the strip where you’re spoilt for choice. The food is inventive but still accessible (you’ll know what you’re eating), and makes the most of seasonal produce, drawing inspiration both locally and globally. Sit yourself down on the cosy sheepskin-covered chairs and relax into a truly indulgent evening. The old Ponsonby Post Office has been transformed firstly by the team behind SPQR before it sold to Waiheke's Mudbrick. Augustus Bistro has a sleek, monochrome interior there's also a lush courtyard to transport you to Europe. You'll find something for everyone on the menu—from bar snacks to a full dinner menu. Think refreshing carrot, sunflower tahini, nasturtium and pomegranate salad to melt-in-your-mouth beef sirloin. Sometimes you just want a good steak. And sometimes you’re oversharing plates—you’d like the main and sides all to yourself. We’re talking chips with your steak, a bit’a butter and no more. Say hello to Ponsonby Road Bistro, because they deliver just that. The steaks are sublime, as are the other mains available from the ever-changing menu. You’ll feel as though you’ve been transported to a European bistro with the napkins and incredibly attentive staff. It is simplicity at its finest. Whatever you choose to order from The Blue Breeze Inn’s fantastic modern Chinese menu, make sure to load up on those buns. 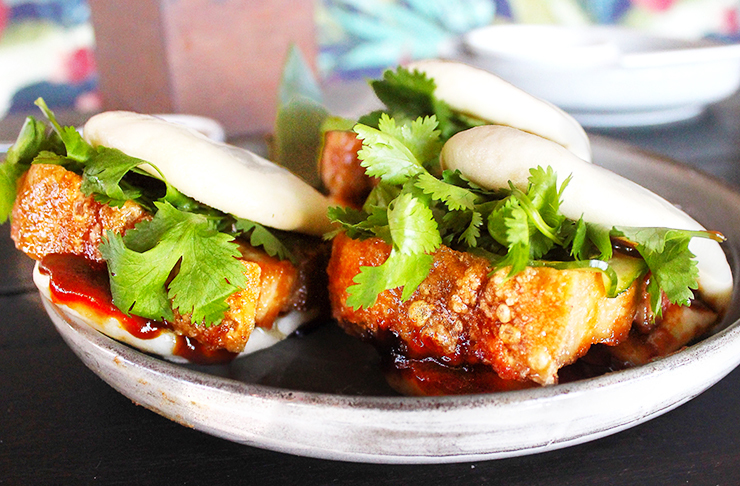 Many Aucklanders death row meal of choice, there’s a reason their pork belly, encased in pillowy steamed buns has amassed a serious following. But The Blue Breeze Inn has much more to offer than that—it’s one of the best places to eat in Ponsonby. This Chinese Pacific mash-up means you’re in for fiery flavours matched with tropical rum-based cocktails. It shouldn’t work, but it definitely does. 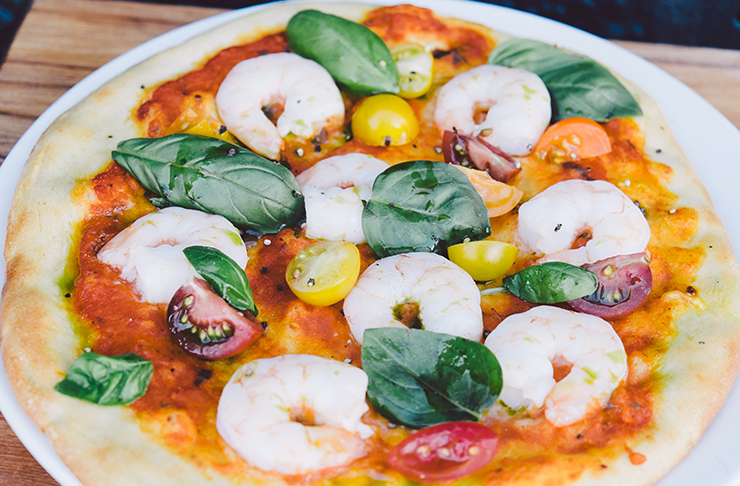 We’ve already listed Prego as one of Auckland’s best Italian restaurants, one of the most romantic things to do in Auckland, and actually as one of the 50 things you must do if you live in Auckland. Getting the message? Prego is one of the best places to eat in Ponsonby—let alone Auckland! 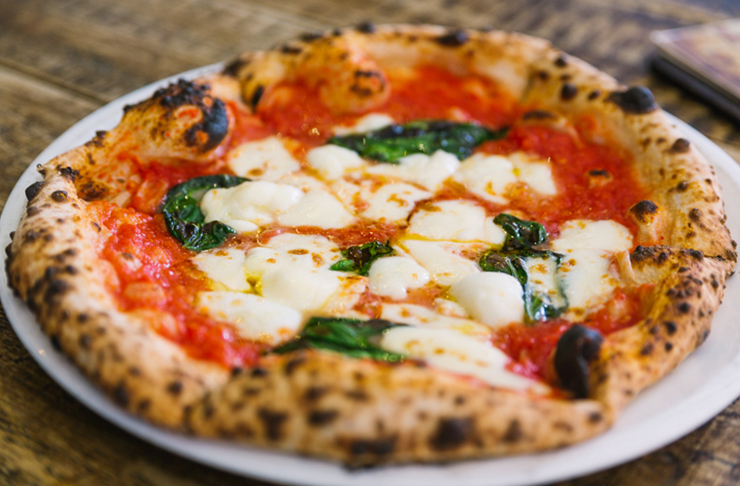 We love everything about Prego, and we’re sure that you will too. The Italian cuisine is traditional and seriously tasty, the ambience perfect and the service faultless. Nab one of the tables outside under the fairy lights to enjoy the evenings—during winter they'll even give you a blanket to keep you warm. 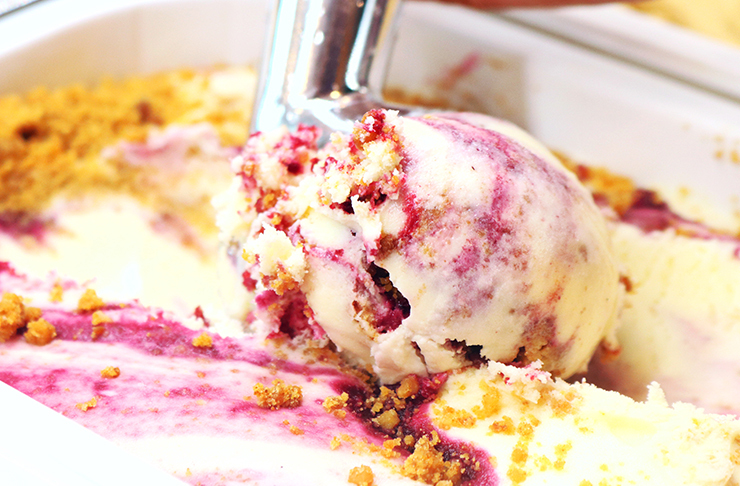 Have that second stomach at ready and always order their fabulous dessert...we know you want to. Mekong Baby does South East Asian food with an absolute bang. The loud flavours are perfectly balanced and keep us going back for more. But, the real beauty is in the set menu options. Just say “let’s eat” and the waiters and chefs will fill your table with the best of the menu so you can focus all your attention on choosing a cocktail to accompany your feast. The chilli and ginger mojito goes down a treat with the bold flavours coming out of Mekong Baby’s kitchen, or perhaps a big weekend means a hair of the dog Mekong Mary is just what the doctor ordered. Ponsonby is always on trend and they have caught on to the rising popularity of dumplings. Located at the home of a previous Ponsonby iconic eatery Adam&Arnold, the place has been redecorated and replaced by a lively new eatery called The Gyoza Bar. 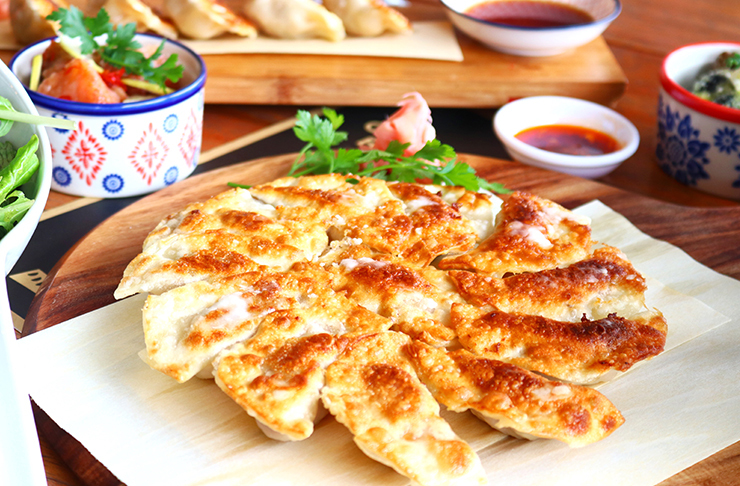 Gyoza’s are a Japanese dumpling with a thinner skin and a crispy, pan-fried base which elevates the texture of the little pockets of juicy goodness. The Gyoza Bar is known for its wagyu dumplings as the crispy skin is filled with succulent and premium beef. They also have a long menu of unique cocktails and use Japanese sake as a mixer which cannot be found in many places around Auckland, do yourselves a favour and hop on it. Meat on meat on meat. Got your attention yet? They have a big ol’ smoker and a menu filled with some serious beasts roasted pulled and smoked to perfection. There’s a cow painted on the wall just to remind you that the plate in front of you is enough to ignore the WHO warnings for a night. 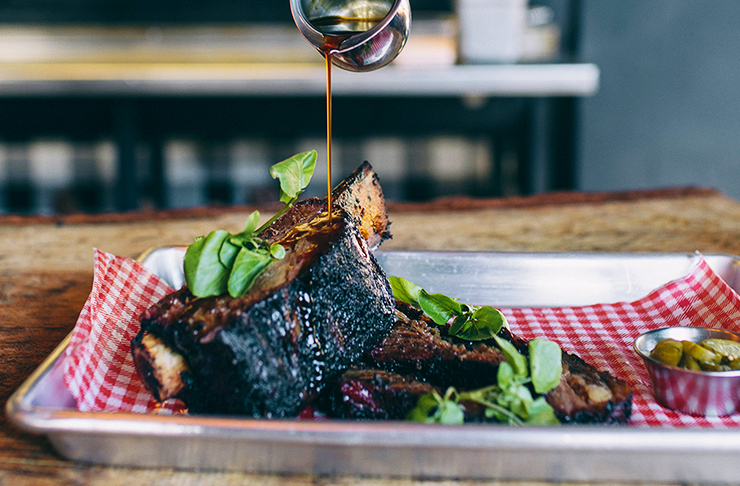 Miss Moonshine’s sits at the back of Lot 3 and is the place in Ponsonby to get your carnivorous fix. 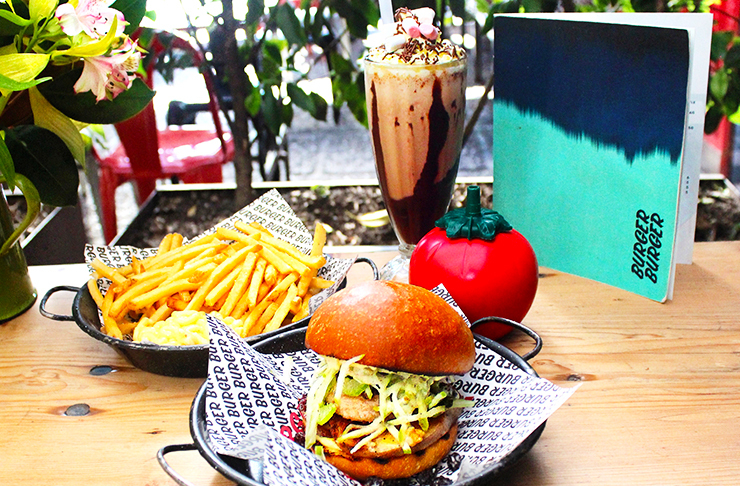 Leave your veggie mates at home and get down and dirty with Miss Moonshine’s classic American barbeque menu. P.S. Their dessert menu—particularly the doughnuts—is not to be missed. 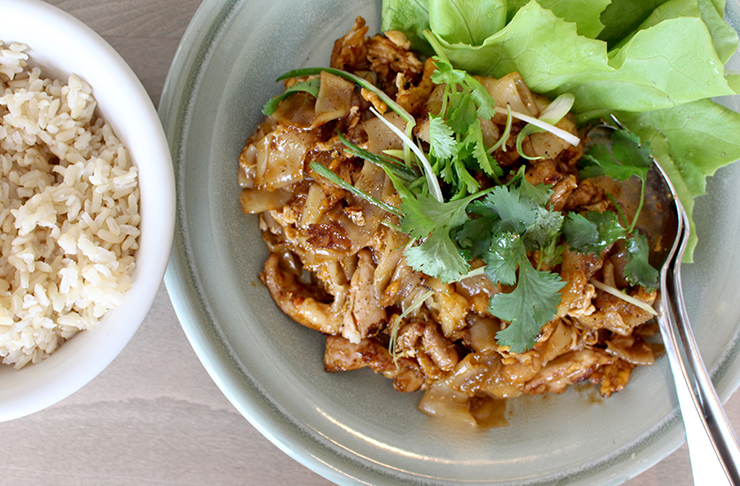 If Thai food to you means pad thai, get yourself to Saan and prepare to have your mind blown. Owners of some of Britomart’s favourite Asian eateries, Xuxu Dumpling Bar and Café Hanoi, you know you're onto a good thing. As one of the best places to eat in Ponsonby, Saan’s menu is based on Issan and Lanna classics, and it stays pretty true to these Northern Thai cuisines. Yeah, it’s street food and family recipes but it’s the atmosphere at Saan that makes it even more special. The space at Saan is breathtaking—the blinded windows let in the perfect amount of light and the pale wood and serene atmosphere makes this the perfect dinner destination. The Italian boys at Dante’s make a damn good pizza. Don’t just take our word for it though—Dante’s was NZ’s first pizzeria to get VPN membership: an honour afforded to fewer than 500 pizzerias across the globe. The pizza isn’t just good, it’s the real deal. The ingredients are imported from Italy, the beer on tap is Peroni and the accents are as Italian as they come. Dante’s is often one of the easiest places to nab a table at Ponsonby Central because of the sheer speed it delivers up the cheesy goodness—with its 400-degree wood-fired oven it takes just 90 seconds to cook. Now that’s fast food that we certainly approve of. Everyone who’s anyone has nursed an espresso martini and shared a platter and a pizza at one of the street-side tables at SPQR. At most people watching spots, the food tends to take a backseat, with diners banking on the local “scenery” to provide the entertainment. Not at SPQR. The food is just as enjoyable as trying to figure out how much work that woman’s had, the price of that matte black Merc, or how wobbly that girl is in her stilettos. The Italian cuisine covers all bases, from fantastic antipasto to the highest quality pizza and pasta dishes, to simply perfect seafood. Finish off with one of the best tiramisus available in our fine city. We still dream about a whole snapper served up as part of a group menu at Le Vietnamese Kitchen. The good news is that the market fish is still on the menu. The bad news is that it’s only the beginning of the amazing options you’ll have to um and ah over on the menu. It plays up the French side of Vietnamese food (hence the name) so you’ll be treated to insane duck dumplings, a great bouillabaisse and fantastic bánh mì baguettes. Of course, there are also comforting bowls of pho with the choice of eye fillet steak or tender chicken thigh. 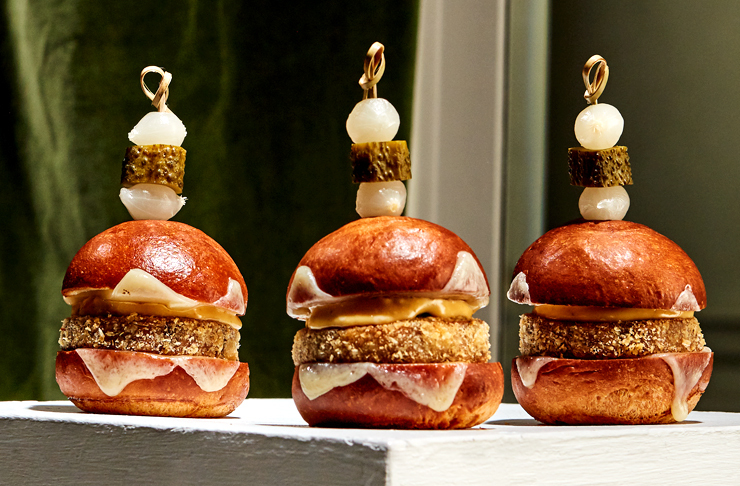 MR TOMS is a bar that does solid food too—but it’s not exactly a gastropub. The cocktails are too good for it to fall into that category. Whatever you wanna call it, it’s definitely worth a visit when you’re looking for a fun place to eat on Ponsonby Road. The pizzas are the star of the menu and offer a modern twist on the Italian classic with toppings such as chimichurri and sweet corn. Leave room for MR TOMS’ Rocky road—caramel mud cake, chocolate sorbet, marshmallow cherries and hazelnut… diet starts tomorrow! Pull up a pew outside if you can—MR TOMS is positioned perfectly on the sunny side of the street. If you love Asian fusion (who doesn’t?! ), then Po Brothers is the place to be. The friendly owners (who are behind Kingsland fave @Bangkok), wanted to create a fun and inviting space where cheap (but good) eats at the ready. Taking inspo from Japan, China, Thailand, Vietnam and Korea, you’re in for a flavoursome meal at Po Brothers. Work your way through serves of larb, curries, noodles and the super spicy stir-fried “chilli lava”. However, the real star of the show is their deep-fried dessert bao. 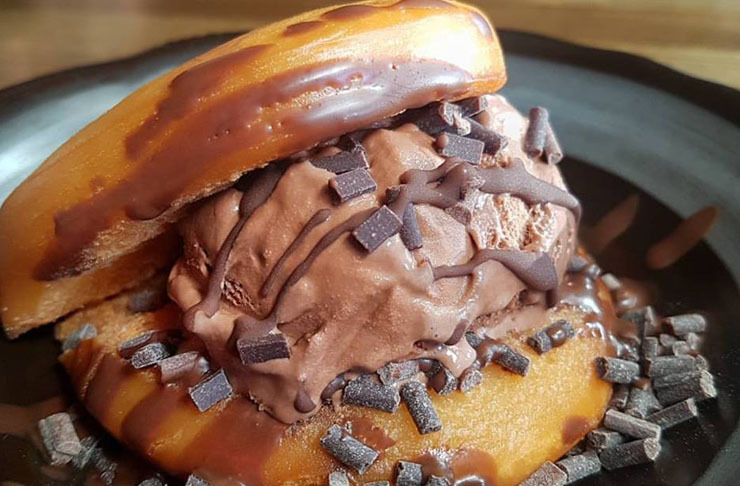 Packed with ice cream, there is three equally insane bao to choose from: cookie and cream, choc fudge or green tea with red beans. 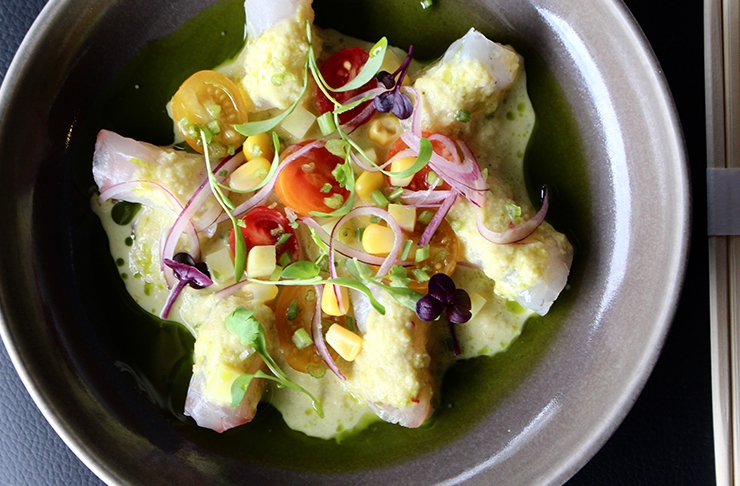 We are huge fans of Conch’s South American fare, rustic courtyard and fantastic drinks—not to mention last time we were there, Karen Walker sat at the table next to us. True story. Conch has been on Ponsonby Road forever and had a loyal following as a record store. Luckily for us, it’s now also one of the best restaurants on the strip. The drinks list reads like a ‘best of’ of NZ’s best craft beers and organic wines. The Peruvian style ceviche with arepa cornbread toast is to die for, and the tacos and arepas are equally great. The short but sweet dessert menu lists a salted caramel pannacotta. Need we say more?! For beautifully presented delicate Japanese food, Cocoro is an absolute favourite in Ponsonby. Ensuring that the Auckland degustation restaurant scene solidly represents each and every continent, Cocoro does it with a twist. Pick the set menu of your choice and prepare to indulge in a special and intimate experience. When we say intimate, we mean it—Coroco only has space for 40 people, so ditch the people watching, it’s all about food and company. Pair the menu with sake matching, but beware it’s stronger than it tastes, and can put you on your arse if you’re not careful. Miss Istanbul is bringing a taste of Turkey to Ponsonby…and the result is delicious! At the helm of the eatery, you’ll find Alix Isik and Nigar Ivgen of Nazar Group. The talented duo is behind the likes of Deco Eatery, Bodrum Kitchen and Devon on the Wharf, so you know Miss Istanbul is going to be equally incredible! Pick and choose from the mezze menu starring all your faves (sigara borek, feta, olives, hummus and shakshuka) or go for something more hearty. 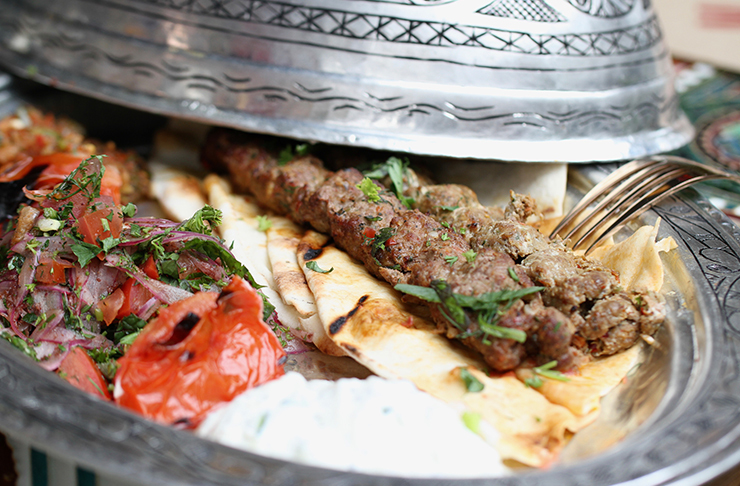 It’s as authentic as can be with slow-cooked lamb, stuffed capsicum dolma and mega skewers. Polish it off with a serve of baklava and an all-important cube of Turkish delight and you’ll be away laughing. Ask any Aucklander who serves the best burgers in Auckland and chances are they’ll say Burger Burger. Boasting three burger joints city-wide (and counting! 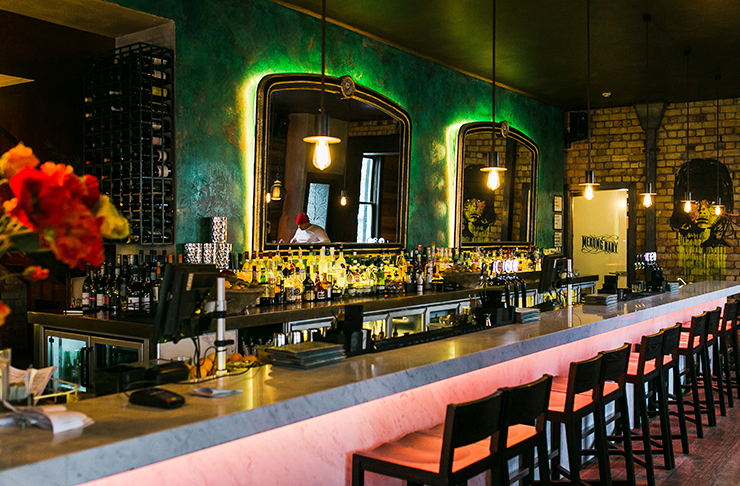 ), Ponsonby is home to the founding restaurant. All bases are covered with the mouth-watering menu starring beef, chicken, lamb, fish, pork and a veggie-friendly number. No visit is complete without a serve of their signature charred broccoli and wash it all down with a creamy shake. Keep an eye out for their innovative weekly specials—they’re the perfect excuse to visit on the regular. As one of the best places to eat in Ponsonby, Azabu is all about premium quality Japanese fusion, great wine and fine dining vibes…what’s not to love? From juicy dumplings, crispy chicken karaage and bento boxes, Azabu have earned the well-deserved reputation of being one of the best Asian restaurants in Auckland. Be sure to save some room in your tummies for dessert as they serve up a tempura custard with matcha and ginger jam and it is not to be missed. With an ambience of luxury with food that is presented beautifully and attentive staff, Azabu is a Ponsonby gem that needs a mention. If you’re desperate need of comfort food, look no further than Chop Chop Noodle House. Specialising in all things noodle and rice, dishes from the Ponsonby Central eatery will warm you from the inside out. Pull up a stool and find comfort in roasted pork belly ramen, fried chicken rice and a “mega ramen” packed with both pork and chicken as well as kimchi, mushrooms and noodles. The deliciousness continues on their street food menu with smoked brisket buns, chicken wings and tempura cornballs. Better yet, the noodle house has an epic whiskey menu to really warm you up. The whole of Auckland sighed in happiness when Duck Island Ice Cream opened on Ponsonby Road. Next to the fire station, the fit out is warm and welcoming and you'll find a cabinet filled with a whopping 24 house-made creations—six of which are vegan. More than your average ice cream, each flavour is lovingly crafted and brings unique pairings, think white chocolate and miso. Head there for an afternoon treat or for dessert, you won't regret it.